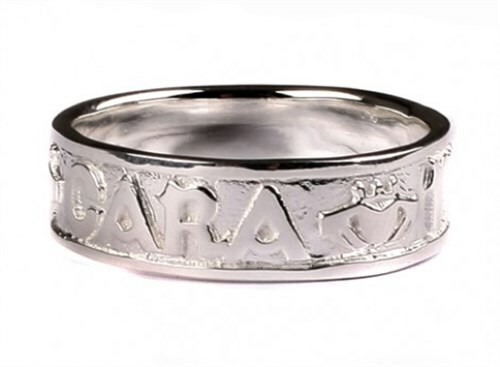 Gents Mo Anam Cara Sterling Silver Ring with Claddagh Detail. "Mo Anam Cara" means "my soul mate" in the Irish language. The sentiment in this ring is further cemented by the inclusion of the Claddagh symbol between the writing. This ring is ideal to be given as a token of esteem and eternal love.